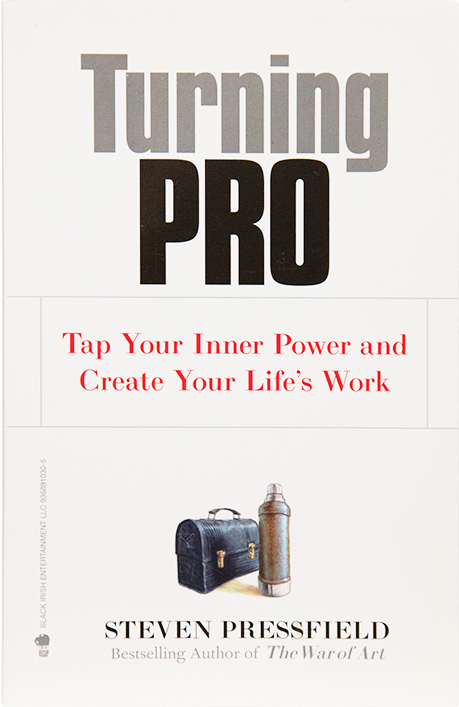 The retro lunch pail and towering thermos on the cover of Steven Pressfield’s Turning Pro are in honor of some legendary Pros. Back in the analog days when the economy relied on blue collar muscle to build the modern world, Steelworkers gave everything they had to get that work done. In three shifts, twenty four hours a day, three hundred and sixty five days a year, hard-hatted men with lunch pails swinging from their gnarled hands passed through mill gates in Aliquippa, Baltimore, Bethlehem, Braddock, Buffalo, Chicago, Clairton, Cleveland, Gary, Homestead, Lehigh, McKeesport, Pittsburgh, Pueblo, Tuscaloosa, Steubenville, Weirton, and Youngstown among many other cities. Without those fully stocked lunch pails, these men would never have made it through a single shift. Let alone a double. They couldn’t duck out and drive to a fast food joint for lunch. Their Chevy Impalas were in the rank and file parking lot, five football fields away from the shop floor. Sweat-soaked and exhausted after four hours in 100+ degree heat, they had to shed twenty pounds of flame retardant asbestos clothing just to take their twenty-minute break. What kept them going for the second half of their shifts were the two or three chipped ham sandwiches, the couple chunks of cheese, the extra donuts from breakfast and the quarter piece slab of peach pie jammed inside their pails. And, of course, a huge thermos of coffee. Wives spent the tail end of their evenings packing their guys’ pails. The best cold cuts and treats always went to dad. It was a sacred thing for a kid to see a scarred hard hat and a full lunch pail on the kitchen counter. That helmet and pail represented the indispensable tools of her father’s work—the armor to enter his chosen profession and the fuel to get him back home. We can learn a lot from these Pros. The digital age requires just as much courage and forbearance as the analog age did. The heat of the fight has just moved from an external one to an internal one. No matter the battle, doing truthful and authentic work is exhausting. 1. We must find the work that brings our lives meaning. 2. We must strive to make our work purposeful, truthful, and authentic, a pure offering to our Muse and fellow human beings. 3. We must wage a lifelong war with Resistance and accept that instant gratification is an oxymoron. 4. We must not speak of our work with false modesty or braggadocio. 5. We must not debase our work for short term gain nor elevate it above its rightful station to inflate our ego. 6. We must not covet the fruits of our work, or the fruits of others’ work. 7. We must respect others’ work and offer aid to fellow professional laborers. 8. We must accept that our work will never be perfect. 9. We must accept that our work will never be without merit. 10. We must accept that our work will never cease. Wishing the best on/for Turning Pro. Good luck! Irish to me means the Fighting Irish. I think the publishing model is going to be similar to what happened to the Notre Dames and UCLAs. Like the big New York publishers, a few colleges dominated the sports market. Then cable and ESPN came along and suddenly the field opened up for many more competitors. The New York publishers aren’t going away anymore than Notre Dame, but they will have to compete with the Black Irish Books who now have a puncher’s chance. I applaud the whole emphasis on putting ones heart into the product. I have grown so tired of the cultural emphasis on marketing over product. I bought Turning Pro the day it came out…FANTASTIC. I read Do the Work and Warrior Ethos the day they came out. I don’t know if it’s just me, but I love all of this stuff: the hero’s journey, the warrior mindset, the professional vs. the amateur; I truly can’t get enough of it. Today’s blog was simply superb, but I do take issue with number 8 of the Lunch Pail Manifesto. Gates of Fire was absolutely, positively PERFECT. No one will convince me otherwise. Thank you for all of this, Mr. Pressfield. 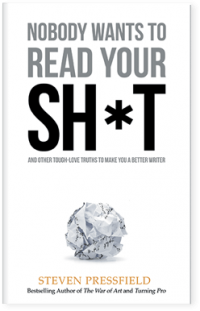 Your writing makes me want to grab my pail and go to work every day. 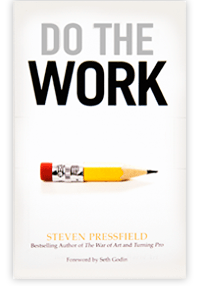 I got the free Kindle copy of “Do the Work” as soon as I opened the email. I don’t know how many times I’ve read it. Then I bought “The War of Art” next…read it 4 times and will read it more. I bought “Turning Pro” as soon as I got the email and read it. I will read it again next week. I had to chuckle a little when I noticed you released the book on the anniversary of D-Day. “We must accept that our work will never cease” Surely not a coincidence to release your book on the anniversary of the Marine fight at Belleau Wood! An important additional corollary to be taken from the steelworker’s lunchpail example, is to make sure that you are well-sustained with the fuel necessary to keep you going so that you can do the work. Do you have any future plans to expand Black Irish Books or is it just a way to sell “Turning Pro” without going through a typical publisher? 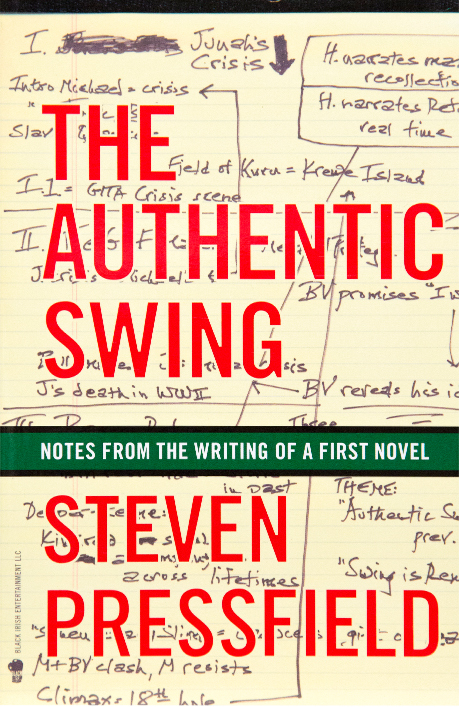 I am just loving this book. I have it on MP3, and have listened to it a number of times already. Thank you for drilling down to what is important in the work. Doing it! I needed this. 5 years into writing an epic heroic fantasy. Taking my lunch pail early in the morning.